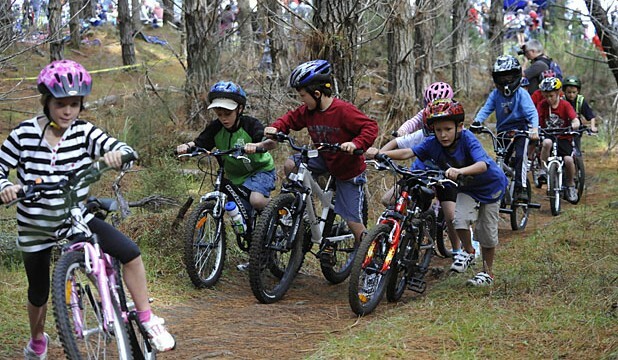 8 week program over the summer to introduce the young ones (not Jason) to MTB. This is great opportunity to spend fun, active time with your boys or girls! This is mostly riding the trails at their pace with little instruction at first, If they can ride with a strider http://striderbikes.com/ or are able to ride without training wheels they are ready for this 8 week program. They will be out of school so make this part of their summer routine, befor you know it they will be out there riding with you all the time! win, win for everyone involved! Schedule will be open so we can have several people come out. Wednesdays at 4PM will be a solid day that I (Rick) will be there with Grace, we can come up with other days on the weekend for more participation.